Nammos Restaurant by the Sea in Mykonos, Greece, is famous worldwide for the once-in-a-lifetime experiences it delivers to its guests. High-end gastronomy, delicious cocktails, amazing daily parties, and all of these right on the stunning beach of Psarou, create the perfect mix for summer moments that no one ever forgets! Established back in 2003, Nammos soon came to be a must-visit place for a prestigious clientele of personalities from the worlds of fashion, cinema, music, sports and many more. Today, it’s no surprise it’s considered one of the top establishments around the globe for sophisticated dining by the sea, unforgettable parties and an overall beach life experience that is second to none. Support the brand with a strong social media presence, luxurious print editions and collectible items, like the Nammos signature shot glasses. 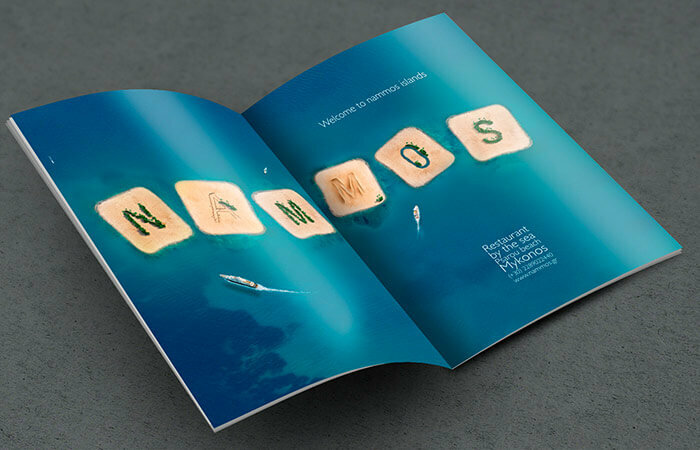 The logo of Nammos needed a refresh in terms of making it simpler, but at the same time elegant and memorable. We refined the logo getting the letters close together to create a coherent look, simplifying textures and choosing a color that is reminiscent of the beautiful sand of Psarou beach. Furthermore, we also created the branding and identity for Coo sushi restaurant and Luisa Beach boutique, both of which are significant parts of the overall ‘Nammos beach experience’. To support the brand and increase awareness, we designed and produced a complete collateral set of business cards, letterheads, envelopes, brochures, menus, shot glasses, matches and much more. Great design is timeless! It’s been more than a decade since we created the iconic menus of Nammos and they’re still being used today. The concept was simple but also revolutionary: sand particles and small gravel, placed inside in a water-like gel, provide the menu with an enhanced aesthetic appeal as well as protection. 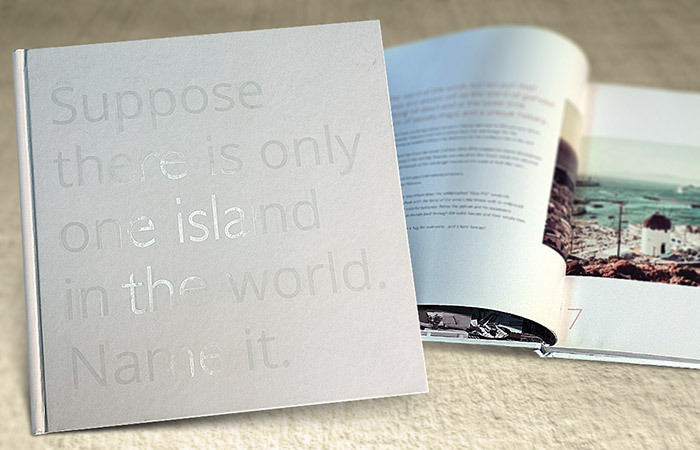 We were inspired by the sand of Psarou beach and its crystal clear turquoise waters to create what came to be a success story that still makes a huge impact and inspires other businesses for their menus. 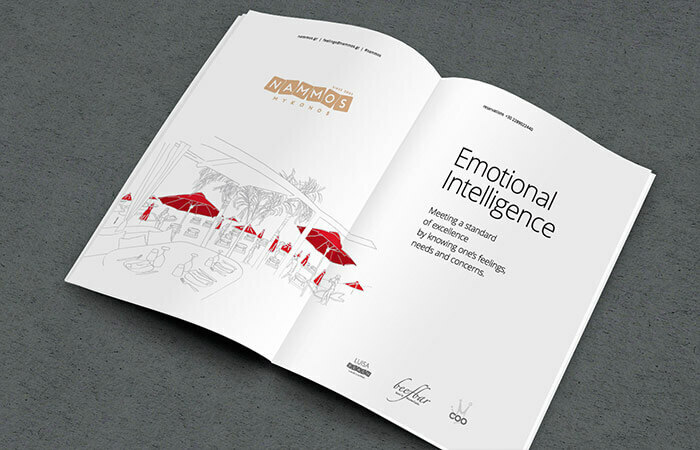 For all other menus of Nammos we used a different concept every year, thus providing the world-renowned restaurant with a fresh design and a constantly refreshed and unique look, while staying loyal to the brand identity and philosophy. We designed and developed a website that compelled visitors to easily find information about Nammos’ services and events, while enjoying a pleasant online user experience. We helped Nammos gain more awareness across the social media landscape and be known to more travelers from all over the world. We achieved this by strategically creating and publishing content that introduced the Nammos experience, as well as by implementing targeted campaigns for awareness and fan acquisition. 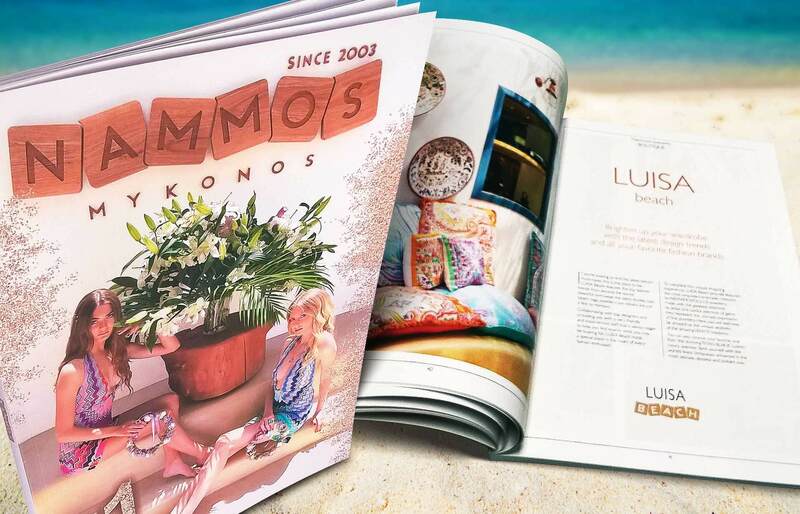 We also put the Nammos way of living in print with two deluxe editions: a luxurious magazine that showcased the venue, services and news of the business, as well as a special compilation featuring Nammos’ most beloved recipes. The print ads we created for Nammos were destined to make a bold statement and breathe in the minds of readers for years to come.